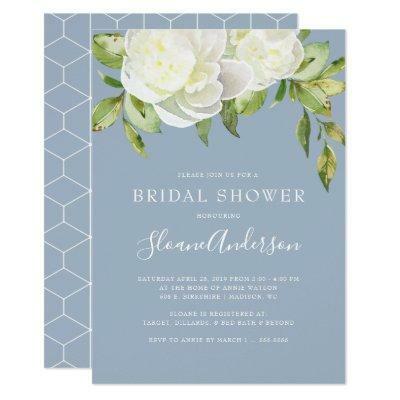 An elegant, floral bridal shower invitation with a beautiful arrangement of watercolor white peony flowers and greenery. Shown with a dusty blue background color which can be customized to match your wedding theme. Just select the &#;customize it&#; button to see additional design options.